Hatha Yoga School is an established yoga training centre in Rishikesh since a decade. We have a team of skilled, experienced and well-trained yoga teachers. The teachers have in-depth knowledge on different forms, techniques, aspects and benefits of yoga. The yoga teachers are widely renowned across the globe performing different yoga sessions and activities socially. For the growing popularity of yoga and its incredible benefits, people from different countries access India- the origin land of yoga. Hatha yoga classes in Rishikesh is well designed for the beginners as well as learners having modest knowledge about yoga. We not only offer yoga training to the beginners but also have been serving the global-society creating efficient yoga teachers! Our team endeavours to provide the best kind of Hatha yoga courses in Rishikesh which are unique within our industry. We have a squad of specialist teachers for each subject whose aim is to make sure that trainees receive a robust education in across all subjects. 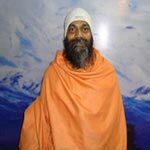 Swami Amarna Anand has done meditation course from Osho International Meditation Resort in Pune, Maharashtra in India. He was in standard VIII when he started practicing yoga at school. He learned basic yoga poses and started getting intrigued by it. 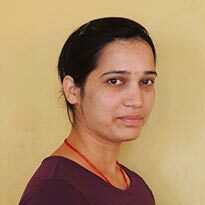 Yogini Manisha has been serving AYM organization through her teaching and in the design and development since 2010. Yogi Mahesh has done P.G. Diploma and M.Sc. 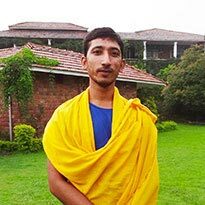 in yogic sciences and was the topper of the batch, for which he was awarded with gold medal. We have a personalized segment for Hatha yoga teacher training in India and people from different corners of the world get enrolled in the professional training courses. We welcome the people interested to seek career in Yoga getting established as a yoga teacher. Hatha Yoga school in Rishikesh courses are certified and holding the certificate of graduation in Yoga, the learners can start-up their career in Yoga as a trainer. With this certificate the candidate will be welcomed by different yoga centres across different countries. This certificate determines that the person has distinguished knowledge about different yoga techniques and forms. Hatha yoga teacher training in Rishikesh opens up incredible opportunities of for a candidate. The courses of hatha yoga for beginners are designed in the best way! One of the most famous and savvy professional yoga courses is the 200 hour training course. We offer a one month professional training course that is accredited in international level and a person completing the program successfully becomes eligible for starting professional career as a registered yoga teacher. With high dedication, attention and effort, we ensure to scale up knowledge and skills of any individual within 200 hours so that they attain appropriate qualification for teaching students in international level. School Director and senior teacher here uses the customised Alashtanga primary series as a constant and solid foundation from which students can emerge their individual unique teaching style.Here during the course, you will have perfect opportunity to apply these accurate techniques to your own practice. Asana techniques including training and practice in chanting, Pranayama, Kriyas and meditation as well. Yoga philosophy of 8 Limbs of Ashtanga, Raja Yoga and Sutras. Much needed requirements to apply for the 200 hour teacher training are an highly in demand yoga practice, an open mind, dedication to learning, and inspiration to become a much worthy yoga teacher. And for this, applicants with a starters practice are welcome to choose any of our courses provided can display a high level of self-discipline as it is physically, mentally and more spiritually demanding and also extremely rewarding as well. If you are only going to join the course to attain a Certificate or to interrupt any of the momentum of the group because then you are not all ready to step outside your own comfort zone then we actually recommend further more personal development before apply to any of them. At Hatha Yoga School, we offer hatha yoga teacher training courses that are unique in the country as well as the industry. We have prepared a squad of highly efficient specialists teachers for every section. The ultimate aim of the teachers at Hatha Yoga School is to make sure that the trainees receive the best education or training about different yoga techniques, breathing techniques and meditation. Learning different hatha yoga poses and asanas any individual can easily share the acquired knowledge with the newbie. These individuals after passing from our school can easily get established as professional yoga teachers being confident about their knowledge and skills. With a strong teaching capability and skills, the individuals can set their professional career. The curriculum of the professional teacher training program enhances the personal skills and intensifies yoga practices. What will you learn within the course? 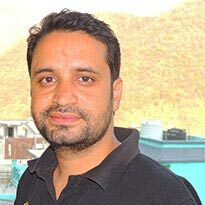 In between the course duration, the trainees would be able to learn different Hatha yoga poses and asanas, proven techniques of meditation, philosophy, adjusting, physiology, anatomy, mantra chanting, Ayurveda, mudras, pranayama and several other traditional and contemporary techniques of yoga. Our instructors are basically focused on several essential elements of yoga that would lead the trainees in a successful career path. After completing the training program and obtaining the certificate, the outcomes are indeed fruitful. Investments for yoga teacher training would not go in loss and one can get established in the industry with proper dedication and effort.